OK. I’m just going to say it. I hate grading. When I was a kid and helped my mom grade it seemed like so much fun. Then I became a teacher and it seemed like the punishment for a job well-done. I think it’s because I’ve always felt like this was the area where I am least prepared. Don’t misunderstand, I know my subject content. I can talk about grammar and vocabulary and word choice and syntax. I love all those things and I know the rules backwards and forwards. Imperfect subjunctive is exciting to a language nerd like me. And of course, my education courses in college talked about positive, negative and constructive feedback. Teacher training boiled down to the basics: “good job” and “that’s interesting, but perhaps next time you could try it this way (insert correct answer)” were acceptable. “That’s stupid” and “Wrong!” were obviously to be avoided. Quizzes and tests were marked for correctness, distributed back to students and the next lesson/unit begun. But I don’t think I really understood what effective feedback looked like and just how valuable it could be. 1. In 2009, I pursued National Board Certification. 2. 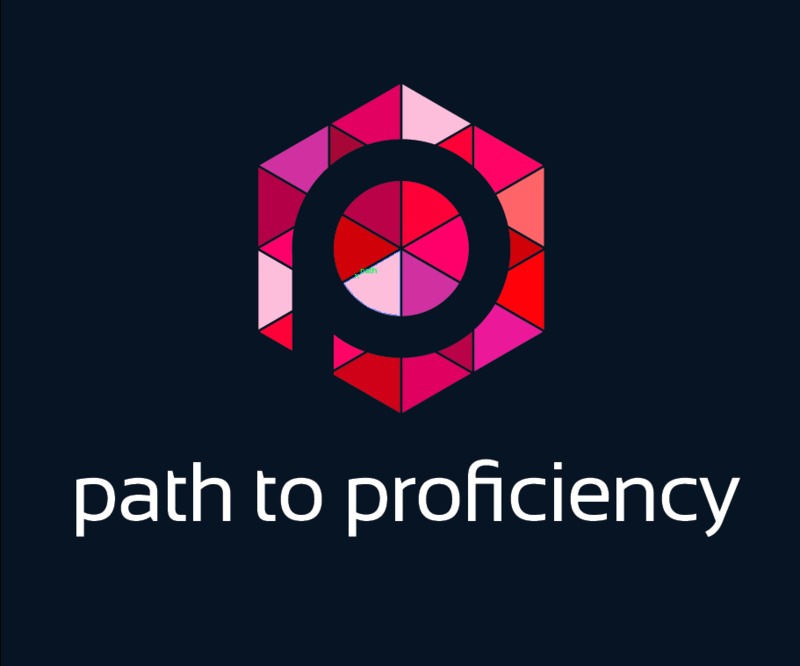 A couple of years ago, I started down the path to proficiency. 3. This winter, I am participating in a book study with some teachers in my district about effective feedback. Each of these made me stop and rethink the role of feedback and the importance of it in my practice. Next to comprehensible input and the goal of 90-10 TL, I’ve realized that feedback is one of the most important things I do. More importantly, I don’t just grade anymore, rather I comment, guide and encourage. And I am starting to enjoy giving feedback and seeing how it helps my students grow and take ownership of their learning. Daily feedback in class is usually given verbally and in the moment. And that feedback is so important as well to fostering a classroom environment where students dare to speak in the target language and actually enjoy it! But I think I’ll save that topic for another blog. For the purpose of this one, I’ll stick to written feedback. There are so many elements to effective feedback, and when we have anywhere from 130-180 students, it can seem overwhelming to think about addressing everything for every student on every assignment. Honestly, I don’t think there are enough hours in the day, not if we still hold to the commitments in our personal lives. So I have boiled it down to a few key questions to ask myself when I’m assessing students’ work. 1. Have I tied my feedback to the specific learning goal of the lesson? I used to get so bogged down looking at everything that I overwhelmed myself and the student. I know that I can only focus on a few things at a time. So, I started making sure that for each assignment, I was focusing on the specific learning target(s) for that lesson. Then both the student and I could better evaluate mastery of the lesson’s goal. 2. Have I found something positive to say about this work, using concrete goals for proficiency? I always start with the positive. And to continue to build a common understanding and vocabulary centered on proficiency, I use the concrete examples of what communication at a given proficiency level looks like. (I find the AAPPL rubrics from ACTFL are really helpful!) I want my feedback to be clear, descriptive and constructive. “Effective use of connector words!” is a much more tangible comment for students than just “good job!” Now they know specifically where they excel and can build on that. 3. Have I focused on both the task and the process? This question is one that I don’t think I articulated enough to myself in the past. Often, all the tiny elements of the task took precedence over the thinking process of the students. Especially when I was making a rubric. (The phenomenal Paul Sandrock helped me address that problem when I read his book The KEYS to Assessing Language Performance.) I realized that I can’t really help the student address areas of weakness if I don’t understand why he/she is making the mistake. In addressing the thinking process behind the work, I have more insight and can offer better suggestions for improvement. 4. Have I asked at least one question to stimulate the student’s thinking about his/her work? This question is my newest one and I have found it to be the most helpful in transferring ownership of learning from me to the student. I used to write out the better phrasing or syntax. By posing a question such as “how could you elaborate on this idea?” or “how could you make this phrase into a sentence?” or “what connector words could you use to tie these two sentences together?” provides students’ the opportunity to think about their language skills and what they know and can do. 5. Have I given a concrete suggestion for improvement and proficiency growth? By thinking about my feedback in this way, I have seen a difference in how students regard it. Gone are the days of throwing it in the trash—as I watched in horror as all my hours were completely disregarded! Now, they actually read what I wrote, ask questions about it, and file it away for future reference. To make the most of this renewed interest, I plan lessons and future assessments to give them an opportunity to use the feedback; to show that they have internalized my comments and can apply them in future performances. I have also started asking students to pick one thing from feedback on the previous assignment and to actually write it down on a card as the one thing they are going to focus on improving in the next assignment. I have found that the simple action of articulating to themselves one concrete thing to work on gives them focus and purpose, as well as making feedback more important to them. It is still a work in progress. Even after 20 years of teaching, I am still trying to find the perfect formula. But at least now I feel like we are learning how to make feedback work for us. As Alyssa and Thomas say it’s “feed-forward” not “back”. Now at least, my students and I are walking together, in the right direction, on our path to proficiency. Brookhart, Susan M., How to Give Effective Feedback to your students. ASCD. 2008. Sandrock, Paul. The Keys to Assessing Language Performance: A Teacher’s Manual for measuring student progress. ACTFL. 2010. Thanks for this thoughtful blog post. We’ve been digging into feedback as well and it’s tough work, but soooooo important! Sharing with the department.